Where grievances or disciplinary issues arise we can assist in resolving those issues or in negotiating terms of severance whether you are an employer or an employee. Advice may also be required in relation to termination of employment and on issues such as redundancy, unfair dismissal or discrimination. We draft Settlement Agreements for employers and regularly advise employees on Settlement Agreements which have been offered to them. We also advise and represent both employers and employees in employment tribunal claims. Where possible we try to negotiate terms of settlement. Irrespective of the merits of a case, we shall explore with you the various methods of resolving the matter which include negotiation and the different avenues of Alternative Dispute Resolution. There are instances when Employment Tribunal or Court proceedings are required or may already have commenced and we have experience of Employment Tribunal and Court Litigation. Drafting or reviewing Contracts of Employment. Drafting or reviewing Service Agreements. Advising on confidentiality clauses and restrictive covenants. Advising on and drafting grievance or disciplinary policies. Advising on or drafting sick pay policies. We may be asked to draft Contracts of Employment for staff or Service Agreements for more senior executives. 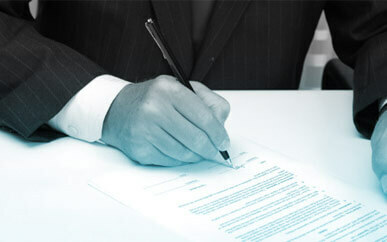 We also advise senior executives on Agreements which have been offered to them. We encourage employees to take advice on draft Contracts particularly those containing restrictive covenants. As with many contracts it may be possible to enter into negotiations with a view to the terms being agreed.